Performances towards the conclusion of last season and purchasing a world-class goalkeeper created some very high expectations for Arsenal. A victory in the Community Shield seemed potentially a foreshadowing of things to come, as everyone questioned: Could it finally be their year? During their sluggish 2-0 defeat to West Ham United on a sunny mid-afternoon in North London, those who didn't know better would anticipate the thoughts of challenging for the title to be at the very bottom of their list of aspirations. 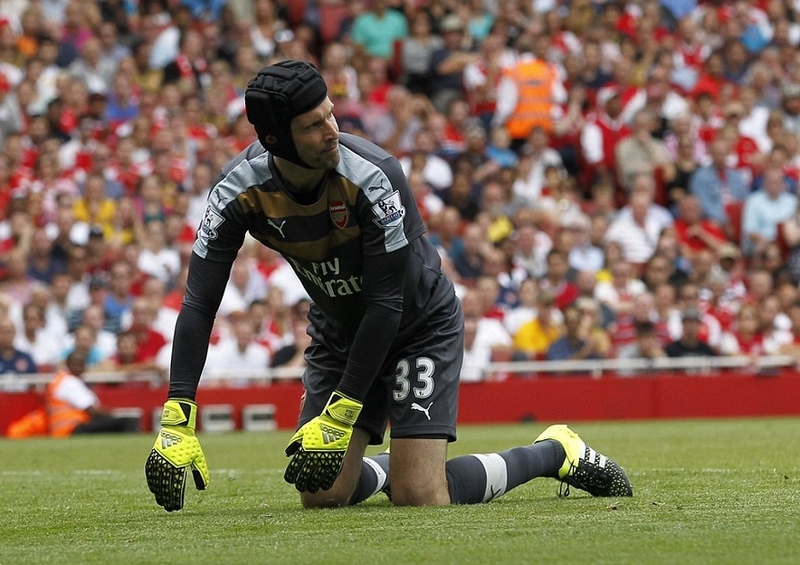 Petr Čech—the world-class goalkeeper who fuelled beliefs that this could be a title-winning season for the Gunners—struggled to even show glimpses of a player still in contention of being the best shot-stopper in the league, even if he sat out a lot of the action playing second fiddle to Thibaut Courtois at Chelsea in the previous campaign. Leaving a virtually open goal for Cheikhou Kouyaté to head in from a free-kick, after the Czech rushed off his line to punch out the delivery, his errors partially lead to the downfall of his team over the 90 minutes. It's also debatable that he could take responsibility for when Mauro Zárate doubled the lead—but then again, his 30-yard shot took everyone by surprise. Bad games are part of the parcel in the industry. It's just unfortunate that it happened in his first game. It's a safe bet that Arsenal will have much more stable times in between the sticks in future games, but the worry is that his teammates were unable to really threaten in an attacking manner. Other than Cech, Arsene Wenger didn't change up his squad meaning they wouldn't need too much time to "gel" or work as a unit, since they did that at top gear last season through their bludgeoning of many-a-side. Alexis Sánchez's inclusion on the bench surprised a lot of people, and those surprises were justified when the Chilean did come on; it was a desperate move to salvage something from the game and it didn't work—Arsenal didn't have the spark on the day. That "spark", though, was a readily available resource on tap last season. 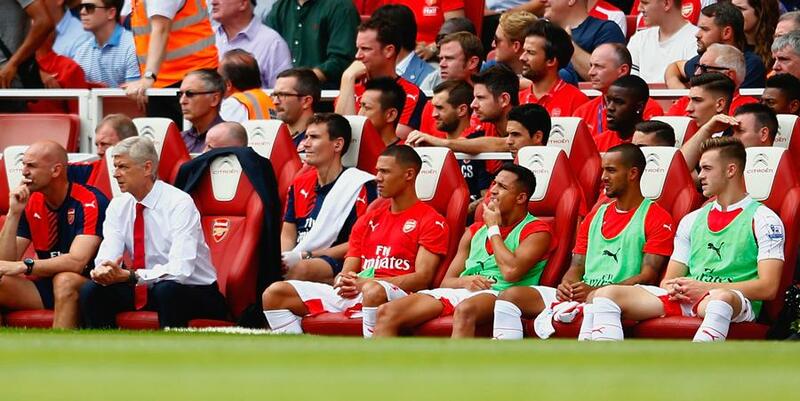 Eventually, you can expect the Gunners to be firing on all cylinders, but when? That's the real question. 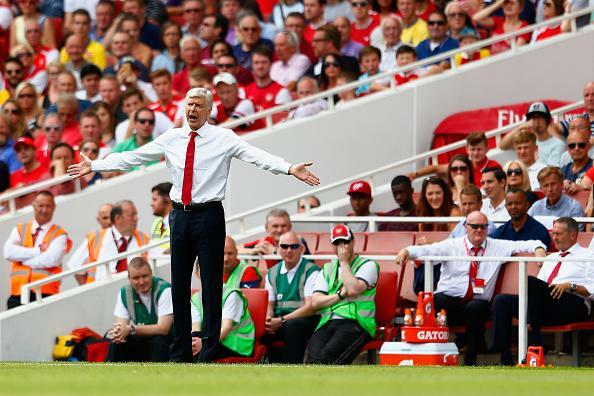 "West Ham are a bit more advanced in their preparation than us," Wenger explained post-match. "I felt we were a bit nervous and we rushed our game a bit. We didn't always respect the basics. We wanted to be too quick going forward in first half," the Frenchman added. Preparation is key. If anything, it should have been different—West Ham United had made far more significant changes and could have thrown off their game a bit. It will be a healing process, of course this is far from catastrophic, but it's frustrating for Arsenal, a win here would have really helped them excelled. Last season, there was little pressure on them. No one expected them to really fly through the final stages since Chelsea had all but clinched the title. Now, the sense of expectation is high. Arsenal have shown they have the squad to challenge, but could they be crumbling under the pressure? Either way, that mentality must be ditched. They only won 2 of their 8 games to kick off the previous campaign, and had that improved, they could have came even closer. With Chelsea having dropped points to Swansea the day prior, this was a real opportunity to gain some early leverage against the Champions and one of their perennial contenders. Olivier Giroud—who was apparently knocked out in a second-half head collision—was far from the worst player on the pitch, but his performance re-iterated Arsenal's need for a striker, maybe Karim Benzema. Arsenal may have to break a few monetary records en route to capturing the Real Madrid forward, but it will certainly be worth it, if, or perhaps when, the supporting cast get in shape and perform much better than we know they can. With Karim Benzema, an Arsenal side who echo performances from last season could make the title a cakewalk. Without, they have a big chance. Both those depend on when they can get their act together. We know they will at some point in the season, but the Champions are those who can sustain it—it's not a sprint, its a marathon, but if you start poorly in a marathon, it'll be hard to catchup, at least in theory. It's essential that Arsenal firmly dispatch of the memories of this game. Boos which reverberated around the ground were signalling the prevalent sense of frustration. but should they perform like this again then it can only worsen. What makes this loss more resounding is the fact that its at home against a side who were so badly beaten in the same fixture earlier in the year. A trip to Selhurst Park a week after this loss beckons, before they welcome Liverpool to Anfield followed by a trip to Newcastle. Crystal Palace put on a strong showing against Norwich City, and if they perform the same, and Arsenal don't clean up their act, they could be in trouble. The same applies for Liverpool and Newcastle—but these remain more than winnable games, the Gunners need to make sure they can tap into their best. The margin for error when challenging for the title is too small to accept losses like these, let alone on the opening weekend of the season. To keep up with their expectations, they must improve in all areas to give themselves an improved start than on recent occasions. Then, and only then, can they think about the title. Arsenal's 2-0 loss to West Ham United must be one of their last performances of that kind if they want to challenge for the title.